Discover the famous Chianti wine region, visit the best wineries in Tuscany. Enjoy the feeling of our passion. Maybe the best tour in Tuscany with our professional guides. With this experience you will know the history of wine and the secret of this long tradition that is still alive. Join the unforgettable experience for wine connoisseurs, the “Chianti Experience”. Chianti Classico is one of the most valued wines of the world, with its original logo of the Black Rooster who gives the authentic footprint of Tuscan. Chianti area with its olive trees, cypresses and vineyards produces some of the best wines, made with a blend of Sangiovese, Canaiolo and different varieties of red grapes. During the tour you will discover the different characteristics of wine. We visit two wineries and their cellars with differences in traditions and ways of making wine. It also includes wine and olive oil tastings, a typical Chianti Tuscan meal. Enjoy the friendly feeling of a small and intimate group . Our first stop of the day is at a gorgeous winery belonging to a prestigious Italian aristocratic family. The 2 hour tour begins with the visit of the Wine Making Cellar, then the ancient undergrounds cellars where the wine ages and matures in the oak casks or in barriques. The tour proceed in the extra virgin olive oil mill room and the Vinsantaia (Vinsanto Winery). Climb up on the top of the tower, where we can enjoy the magnificient view of the vineyards and olive trees. At the end of the tour you will taste some of the most representative wines of the Castle. 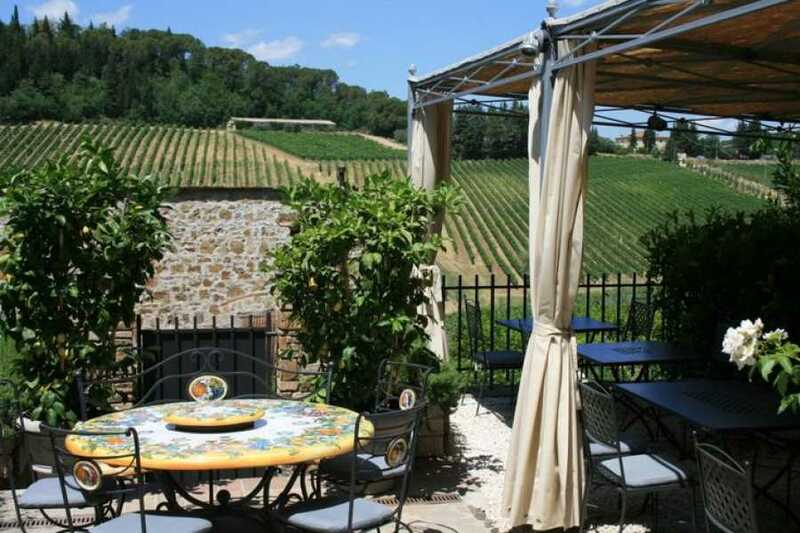 The tour proceed to the heart of the Chianti where we will enjoy a fantastic tipycal lunch in one of the most famous and panoramic restaurant in Chianti region. An incredible journey through history and Chianti wine production. Light lunch in a Tuscan restaurant in a stunning location in Chianti.